Andrea Westwood with the cake. 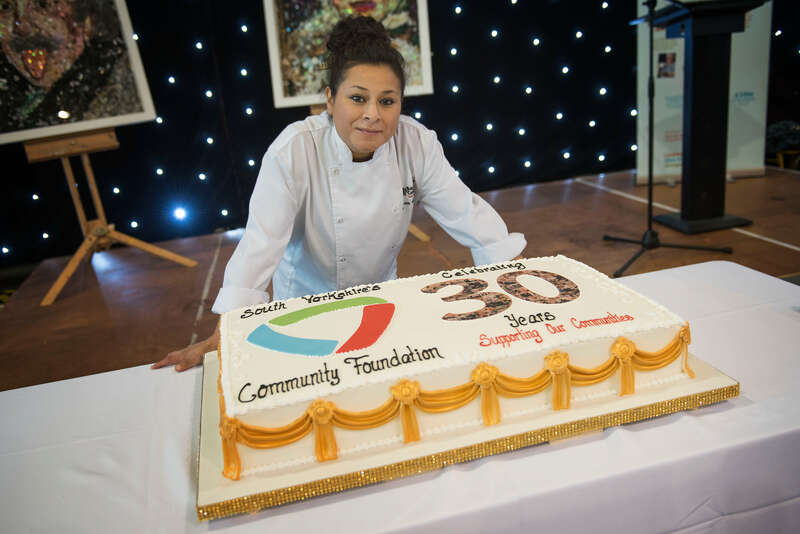 Our former student Andrea Westwood has used the skills she gained on her Catering course to help South Yorkshire’s Community Foundation (SYCF) mark its 30th anniversary. College tutors Angela McGinley and Gillian Spaxman recommended Andrea, of Highcliffe Drive, Swinton, for the task of baking a commemorative cake for a special event to celebrate SYCF’s milestone. Andrea, 34, worked with SYCF Chief Executive Ruth Willis to create a design which incorporated the help and support SYCF has given the local community over the past three decades. The cake was baked in the industry standard kitchens at the college, where Andrea studied a Level 3 course in Patisserie and Confectionery before progressing to the role of Cake Room Supervisor at Staniforth’s Bakery in Parkgate, Rotherham. 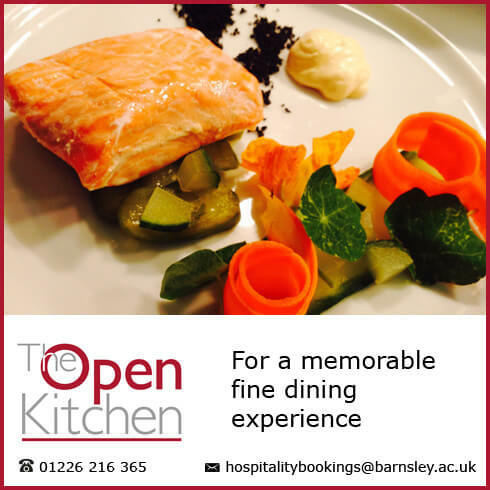 Visit the Catering and Hospitality department page to find out more about studying with us.